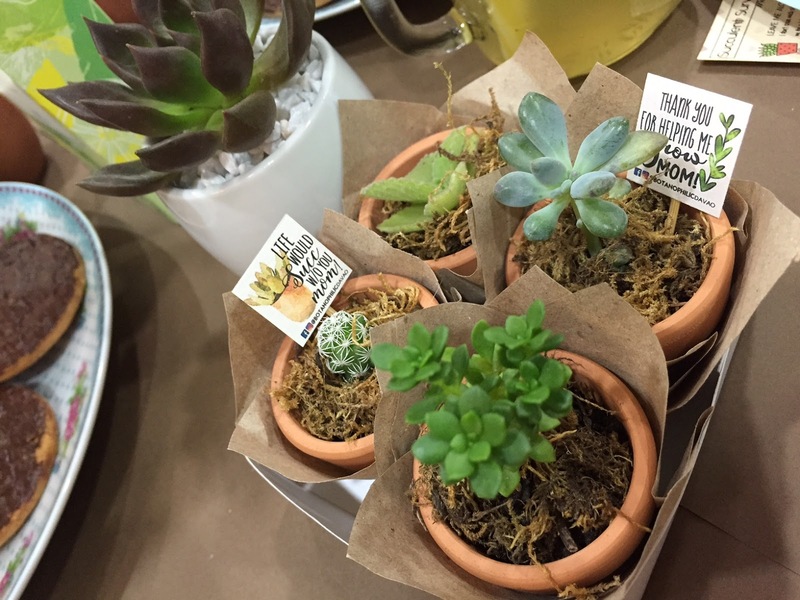 It's Where You At: Say It With Succulents! Thank you Trust Home Depot and Botanophilic Davao for my very first succulent! Yesterday, i had a great chance to get into the world of succulents together with my mommy blogger friends. We were invited to A Mother's Day Pop Up Shop called "Say it With Succulents" hosted by Trust Home Depot and Botanophilic Davao. This runs from May 8 until. May 14. Us mommies were on for a fun-filled, educational mini-workshop where we learned tips and tricks in growing/propagating succulents. Ms. Ching of Botanophilic Davao taught us some do's and don'ts to keep these plants healthy. I can say that it is pretty simple and not that demanding in terms of caring for succulents. 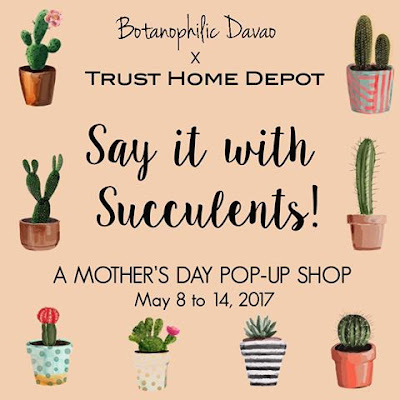 Say it With Succulents features a cute display of different varieties of succulents and some ornamental plants for sale in time for Mother's Day, so if you are looking for something special and unique to give your dear moms on Mother's day, succulents are the way to go. Visit Trust Home Depot to get yours, they are located along Quimpo Blvd fronting John Paul College of Davao. 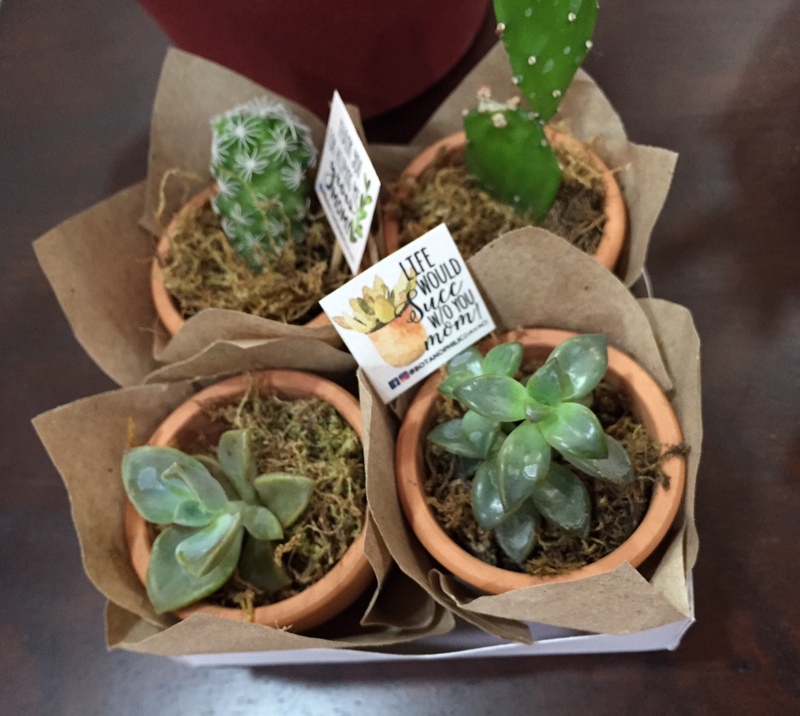 Succulents: Perfect gift ideas for mothers on Mother's Day! By the way, before this event, I have been seeing social media posts by my friends who grow these plants and I became curious and have been meaning to have my own succulent just to try if i can really grow one --- until yesterday. See, back in the day, I only knew them by its general term, cactus. As a kid, I remember my mom was into ornamental plants which filled our backyards. I don't know why but I never had a chance to do it in my own now that Iive with my own family. This somehow rekindled my childhood memories and had me thinking of growing succulents and ornamentals in my own home soon. Wish me luck! !